Looking at the extensive list of past shows on Don Powell’s website, it’s clear that Slade are old hands at this touring lark. An impressive archive of on-stage engagements runs from March 1963, and it’s fair to say Don’s diary remains relatively chock-a-block to this day. Back in those early days Slade were two separate entities, with drummer Don and guitarist Dave Hill in club circuit blues band the Vendors (later the ’N Betweens) and guitarist/ singer Noddy Holder with Steve Brett and the Mavericks. But the trio – all now aged 69 – met on a ferry to Germany on their way to separate engagements 50 years ago, and not long after their return to Wolverhampton, Nod decided to take up Don and Dave’s offer to join their band. 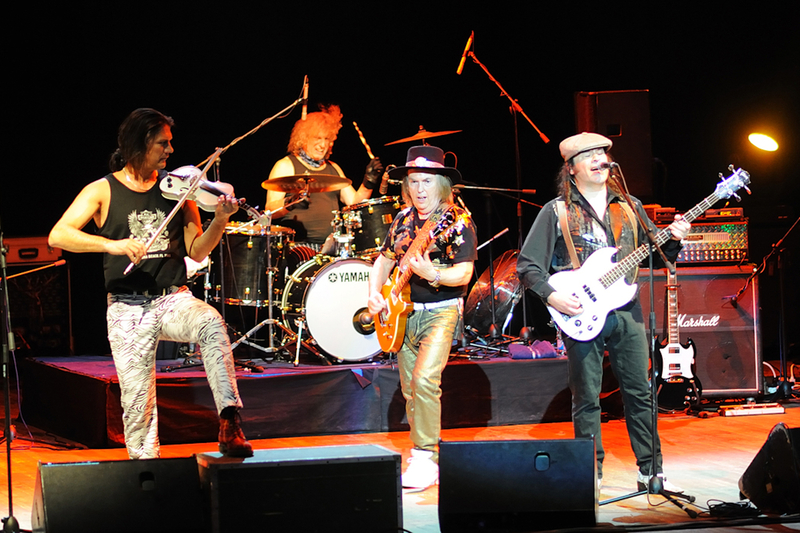 By that time bass player and multi-instrumentalist Jim Lea, three years younger, was also on board, and history was in the making, this newly-honed four-piece in time becoming Ambrose Slade, then – with ex-Animals bassist and Jimi Hendrix manager Chas Chandler in charge – simply Slade, that classic line-up going on to enjoy mesmeric world success. 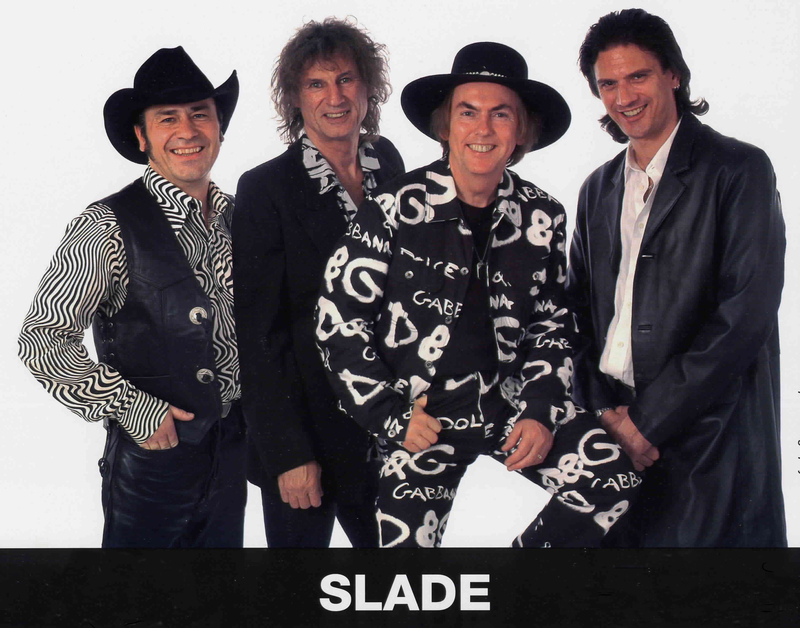 While the original Slade story ended in 1992 and chief songwriters Nod and Jim moved on to other projects, Dave and Don were soon touring again, initially as Slade II and since 2002 back under the original name. And they haven’t stopped rocking up at venues all over the world since, as Dave told me on his return from one such trip to Scandinavia earlier this week. The old band occasionally gets together for the odd event, but live it’s just been Dave and Don of the originals for 23 years now, the last decade alongside Mal McNulty (vocals, guitar) and John Berry (bass, vocals, violin). And while every interview with the band still seems to include that inevitable question about the chance of Nod and Jim rejoining, Dave’s happy carrying on as things are. So, five decades after that fateful meeting which ultimately led to the classic four-piece, does he ever ponder on what might have happened if Noddy had missed that ferry? Any idea what yourself and Don would have done for a living if the music hadn’t paid off? I should explain here that ours was a two-part interview, with an initial questionnaire I forwarded last weekend – returned a couple of days later – followed by a midweek morning chat on the phone from his office in Wolverhampton. So while some of the answers are a little more concise (those penned by Dave), others were more in-depth and philosophical in places (those transcribed by myself after our call). And you’ll be pleased to know – as those who’ve met Dave over the years already knew – that the David John Hill I had the pleasure of catching up with this week was every bit the amiable, genuine rock legend I’d hoped he would be. There’s certainly no front to this fella, just plenty of down-to-earth, straight-forward honesty … as well as that occasional impish laugh and those distinctive Black Country tones. Dave also proved to be refreshingly laid-back and somewhat pensive as we covered a wide array of subjects, from making best use of all the waiting around between shows and his on-going world travels to inspiration for songs, the band’s relationship with their loyal fans, and much more. And we also got on to his current project, following in Noddy Holder and Don Powell’s footsteps in writing an autobiography, although full details remain under wraps at present. So Dave, seeing as I’ve caught you at something of a non-rock’n’roll hour, I should ask if you’re an early morning person these days? It’s a good idea. How many times have we had perfect melodies at times only to forget them when something else happens or we’re interrupted some way or other. Dave knows a fair bit about hits, Slade having more than 20 top-20 singles and seven top-20 albums in the UK alone, with six of those singles and three of those LPs reaching No.1. between 1972 and 1974. Knowing he’s a big Beatles fan, I mention a certain Paul McCartney dream that he turned into Scrambled Eggs and ended as Yesterday. “Yes, and there was that Blackbird singing in the dead of night, saying he nicked this tune off a bird, but altered it. It could just be something you hear from a distance, which you get the vibe from if not necessarily the melody. I wrote something once while delayed waiting for a plane. I was in an electrical shop in Brussels, something incessant going on over the tannoy sparking an idea. And because I was delayed several hours it ended up totally occupying me. After all these years, I’m guessing the trips between gigs, checking-in to hotels, sound-checking and hanging around doesn’t get any easier. I wonder how many of those hours you’ve lost over the decades while waiting or travelling between engagements. “I think it was Charlie Watts of the Stones who said it was 10 per cent live shows, 90 per cent hanging around. But the way I view it is of the process of the journey you take in preparation for a show, which then epitomises what you’ve actually travelled out to do. For example, I was in Lapland the other day and it was awesomely snowy and beautiful, but we’d travelled quite a way. You can get into a mindset of moaning about all the ruddy travelling, but for me it’s about a process of engagement while you’re being checked in, and all that. “If you weren’t travelling to do my job, you may just be sat around at home, which is alright for a period of time, but … Anyway, after 50 years of ‘travel, gig, hotel’, I make a point of seeing a town these days, whereas in the ‘hit’ days we whizzed from one place to another. I see far more of what’s going on these days, often travelling out a day earlier. We were only 20-something then. I’ve seen a lot more in the last 20-odd years than I saw in the entire career of the original band, visiting more interesting places. 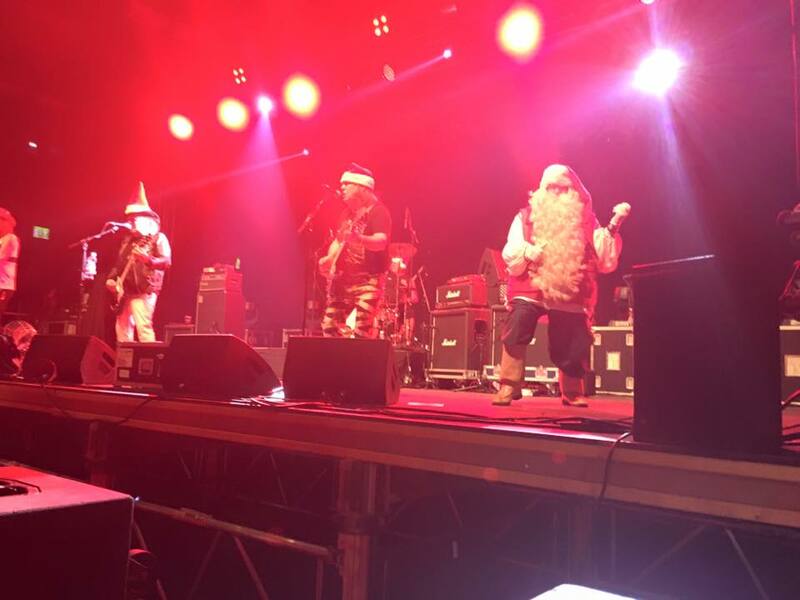 “John Lennon talked about getting to meet your fans and knowing them by name, and that’s how it becomes – especially the loyal ones, such as those travelling over from Germany and other countries for this show we’re doing at the Robin 2 in Bilston (Thursday, December 17th, so apologies if you’re only reading this now), where we formed. You mention Lapland, having just played northern Finland, and it seems that you’ve always had a great affinity with Scandinavia. “There’s a deepness when I go to Norway, and I’ve always known it. Whether it’s rooted in my genealogy or not, I don’t know. I might try and find out one day. I wouldn’t mind approaching the people at Who Do You Think You Are? Maybe next year. “But there is an affinity, in Finland, Sweden and Norway, all fine countries and all nice to visit. We’re there for the purpose of entertainment, but when you’re approached in a street by Norwegians who recognise you, it’s different again from being approached in England. “My son grew up in the ‘80s so didn’t know so much about how it was before, and when he came with me on the road he saw all these foreigners besotted with the image and the music, thanking us for all the pleasure we’ve given them. Yes, it’s about playing and being on stage, but it’s also about all the other things that enhance your life while you live, and the travel’s been a big part of what I’ve done. Which is a nice way of bringing me back to Don’s online diary of past engagements, where I see there were very few days off in those early days. Take for example 1965’s festive season, with shows on the doorstep on Christmas Eve (Harold Clowes Hall, Bentilee), New Year’s Eve (Mossley Youth Club) and New Year’s Day (Sedgley Parish Hall). And as far as I can tell there were few breaks over that period from then until around 1972, by which time they’d moved on to wider touring, TV, promo and recording commitments. By then the itinerary shows the band had moved further afield too, and – seeing as my excuse for talking to Dave was Slade’s last show of 2015 at Preston Guild Hall (Saturday, December 19th), I’ll mention that venue’s predecessor, Preston Public Hall, where they played on December 21st, 1971, the penultimate night of a tour (followed by the finale at London’s Marquee) in the year of their first three chart hits and debut No.1, Coz I Luv You. And they were back at the same hall on November 4th, 1972, four weeks before the release of their first No.1 album, Slayed. But I’m guessing it’s too much to ask that Dave would specifically recall that venue. “To be honest, especially around then, we must have knocked on most doors in our country, and certainly did in Manchester, Liverpool, Preston … it becomes a haze. We were a young bunch of guys travelling in an Austin J2 van, then a Transit when we could afford it, travelling up to your neck of the woods, whether it be playing a ballroom, a Mecca, a pub … we covered a lot of ground. “That included Germany of course. We were booked for a month there. Mind you, we didn’t last a month! The boss of the club didn’t like us, and we cleared off actually. We wouldn’t play pop hits for him, you see. He wanted us to play chart hits, but we were never that sort of band. As it turns out, 44 years after Slade’s first Preston appearance, the current line-up are back this weekend, with the 2015 version of Mud supporting. Is this Dave and Don doing their charitable bit for the Lonely this Christmas? I’m guessing there were occasions back in the day when you were on the same bill as the original Mud, at least on the same Top of the Pops. Any memories spring to mind? 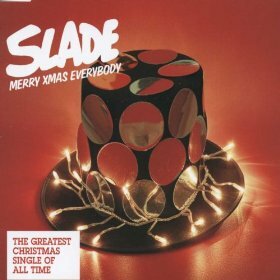 Meanwhile, Slade remain in great demand to this day over the festivities, unsurprisingly seeing as we hear the mega-selling Merry Xmas Everybody almost daily from around October. So has it historically been a case of the band having to put off their own family festive celebrations until they’re free? And what do family Christmases involve these days for dad of three Dave – who also has grandchildren aged six and five – and his wife Jan, once the shows are over? Are the little ones aware of what Grandad Hill does for a living yet? Has Dave calmed down with the stage costumes these days? And is there a costume or a haircut he thinks – on refection – he wished he hadn’t gone with? Speaking of which, what became of that infamous ‘Metal Nun’ outfit he previously sported on stage? And how about the original YOB 1 number plate? We use the term ‘branding’ now, but in Slade’s 70s heyday it was just plain marketing, and you definitely had some innovative ideas with regard to the Superyob fashion range. Was that a lucrative sideline? 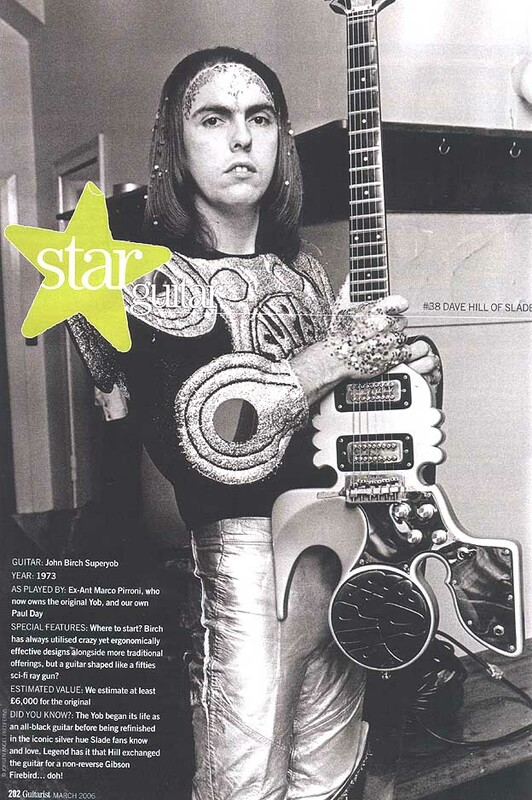 “I think with the guitar it was something of an extension to the stage clothes, wearing the silver and glitter and high boots, all very spacey and very big shoulders. My designer who worked with me felt it would be great to have a guitar to go with all that. Everyone else was just using a Gibson. “So the fashion designer sketched out a guitar which looked just like a cosmic raygun, and the Yob thing came from my car registration, deciding to call this guitar the Superyob. We had it made by John Birch, a guitar-maker who designed for Tommy Iommi of Black Sabbath, made by John Diggins. And we chose silver, which was Chas Chandler’s idea. 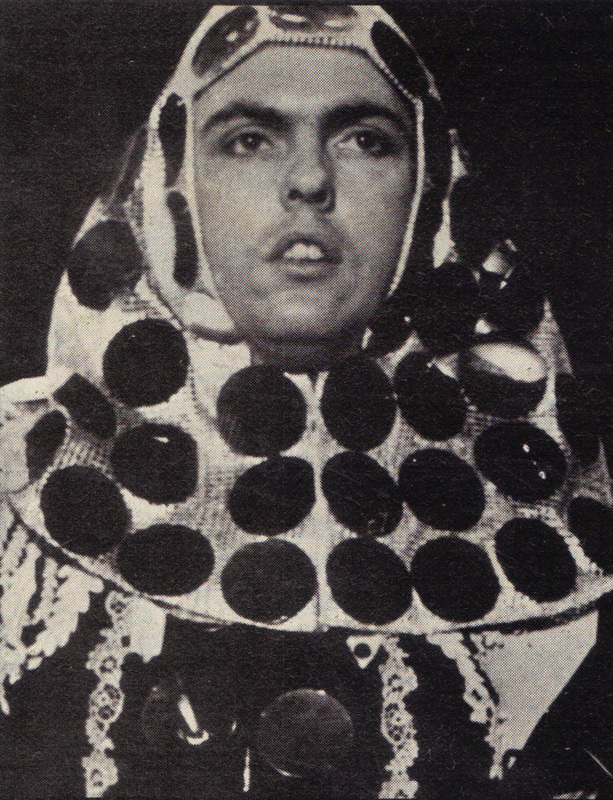 As he did to Madness, ‘Chrissie Boy’ Foreman playing it in the video for their 1981 hit Shut Up. Forty years on from the band’s critically-acclaimed feature film, Flame, I get the impression you all had differing views. For me it’s definitely stood the test of time, depicting the music scene better than any rock film from that or any other era. 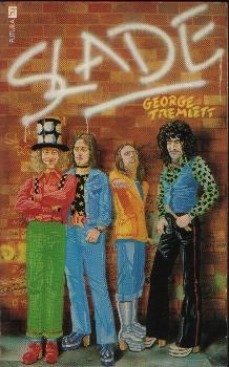 Staying in 1975, George Tremlett wrote in The Slade Story, ‘Hill is an extrovert, hard-working, superstitious, more sensitive than he cares to admit, perhaps over-conscious of his working class background – and at the same time warm in his personal relationships, an easy person to interview because he appears to enjoy relating anecdotes’. Did he get you about right? Absolutely, and while you’ve clearly always been ambitious and always wanted to make it big, you’ve never shunned your working class roots, coming over as very loyal to the area and those who helped break the band. “My mother’s father was a classical pianist, so the music thing was around, but it must have been a shock to Mum and Dad when I was 18 – after doing a job for three years in an office – at a time when The Beatles were huge, telling them I wanted to go professional. “But they’d seen me play several times, and there wasn’t really an argument. Mum was cautious, as she was quite business-like and wanted me to be a doctor to something – but that was never going to happen! I think she also recognised a musical ability, and they looked at each other, then went, ‘Well, give it a go’. “From that, the next great thing my Dad did for me was to buy me a very special Gibson guitar, because our manager Chas Chandler wanted me to have a better one. That cost him £220 and in those days it was a case of him getting the cash and going down to London to buy the guitar. That guitar’s on some of the biggest hits we ever had, and hangs on my wall now. While priorities may have shifted – Don Powell also suffering a couple of health scares – the live shows carry on apace, 23 years after the very first Slade II gig on December 11th, 1992 at Mora in Sweden. Did it seem a little odd going back out there again without Nod and Jim? Mal McNulty has been with you 10 years now, and John Berry for 12 years. I guess they’re not just the ‘new boys’ these days. The line-ups have changed, but I make it 23 years since Nod and Jim left, after 27 years alongside Don and Dave. I guess they don’t plan too far ahead now, but it’s feasible that there will be a Mk. II silver anniversary by the end of 2017. It’s been a sad year for Dave and Don with the loss of their good friend, Graham ‘Swinn’ Swinnerton to cancer, the former Slade tour manager who was immortalised in 1974 hit The Bangin’ Man having also been associated with their previous bands. There must have been times – not least as those record sales fell off in the late ‘70s – when Dave wondered just how long this would all last. But he’s still out there. That’s some achievement, isn’t it? 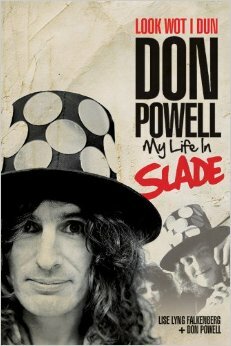 I thoroughly enjoyed Don’s Look Wot I Dun (2013, written with Lise Lyng Falkenberg), and before that Noddy Holder’s Who’s Crazee Now (1999). And now Dave’s working on his own memoir. What can he tell us at this stage? It sounds like you’re taking the same approach as you do with your time on the road – it’s about the journey as much as the arrival. “A lot of people may want to read about the success of Slade, but a lot of that’s already been told through Nod’s and Don’s books. Some fans will want to see pictures of us with famous people – the way I am with The Beatles. But when you really look at it, it’s about what’s a person’s like before all that, and what makes the story. I’m guessing it’s proved a cathartic experience, thinking back on certain memories. That’s true, and I have to say the author had you down as being born on April 4th, 1952, with the same discrepancies over the ages of your bandmates too. Dave’s trademark cackle follows, and it’s good to hear – taking me back, in the same way that his book project has taken him back home. “I’ve wanted to do this book for a long, long time, but think it’s a lot more interesting now than if I’d written it back then. After my stroke I was doing talks for the Stroke Association and engaged with people who also survived strokes. I can relate to them, and they to me, and I have this natural ability to talk. In fact, I probably talk too much sometimes! Again, I don’t want to pre-empt the book, but I was always intrigued by the fact that you were born in Devon, at a castle serving as a maternity home, but very soon relocated to Wolverhampton. What was the story there? Well, they say every Englishman’s home is his castle. Moving on a few years, I believe you also had a science teacher who helped you learn the guitar. “Yes, Brian Close. He didn’t so much teach me as start me off. He’s now living in Australia, and gave lessons to some of the boys at school. I had this guitar and he told me it was dreadful and I needed something better. He was a jazz guitarist. I’d go around his house and sit there with a sheet of music. One of the first pieces I learned was Tell Laura I Love Her. “He also had quite an influence on me switching over the way I played. I was left-handed and had my guitar upside down. He told me, ‘You can’t have it that way! You’ll have to play it right-handed. You’ll get used to it.’ He was right. I did get used to it, and he may have done me a big favour. All these years on, who does this left-handed, right-handed axe hero rate as his personal guitar favourites? I read somewhere you gave music lessons at a local school in recent years. Yourself and Don are clearly survivors. What advice would you pass on to the next generations out there hoping to follow in your footsteps? 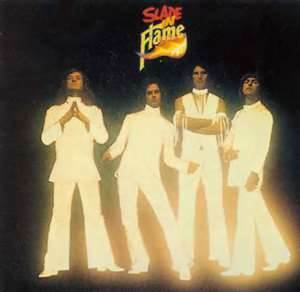 “I think the next generation of bands as we see it involves a different set-up, but longevity is about early experience and great songs, which Slade have. “But most of all are the reasons you’re doing it. That’s what counts. I love what I do, and if you love what you do and people still want to hear it, that’s great. There must be nights when you find it hard to play certain songs after all these years though, especially those a crowd expects every night. But I guess there are also certain tracks you rediscover from time to time and feel justifiably proud of. I spotted a photo of Don with Nod at a ‘Scribblers, Pluckers, Thumpers and Squawkers’ lunch in Barnes recently. Is it always good to catch up again, despite the fall-outs? And if you had a quid for every time you were asked about putting the old band back together again, would that come anywhere near the royalties that come the way of the Holder/Lea estate every year for that big Christmas hit? “That’s a good question … I won’t comment on that! But I’m happy where I am and what it’s done for me in life. I give a lot out there and feel a lot of love back – it’s infectious and fun. It’s what we do, and let’s face it – we all need some good times right now. Be in the moment and be happy with what joys we have. That’s the way for me now. 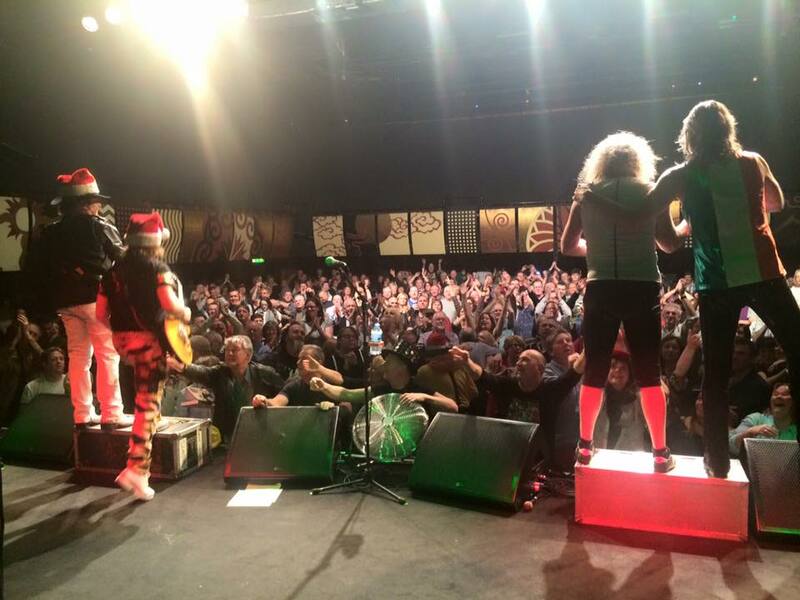 Slade, supported by Mud, wrap up their 2015 dates at Preston Guild Hall on Saturday, December 19th. For tickets and further details of a VIP Christmas Party package call 01772 804440 or email info@guildpromotions.co.uk. For this blog’s review of the Noddy Holder and Mark Radcliffe show at Preston Charter Theatre in May 2013, head here. And for writewyattuk’s Slade Are For Life – Not Just For Christmas appreciation from December 2012, head here. For more details about the band’s plans for 2016, head to the official website here and check out the official Facebook page here. With additional thanks to Abbie at the HCO for helping track down Dave. This entry was posted in Books Films, TV & Radio, Music and tagged Bilston, Chas Chandler, Dave Hill, Don Powell, Graham Swinnerton, Jim lea, John Berry, Mal McNulty, Merry Xmas Everybody, Mud, Noddy Holder, Preston, Slade, Slade in Flame, wolverhampton. Bookmark the permalink.